Excludes all oil changes, tires & accessories. Cannot be combined with any other offers. Some restrictions may apply. See dealer for details. Offer Expires 04-30-2019. Ensure your vehicle is in full working condition for the spring travels with a free 27-point inspection from Hosmer. Our 27 Multi Point inspection covers: a top off of fluids, tread depth, tire condition, tire pressure, windshield wipers, battery condition, air filter, fluid leaks, lights, and much more. Some restrictions may apply. See dealer for details. Offer Expires 04-30-2019. If replacement battery is needed, receive 10$ off. *Some restrictions may apply. See dealer for details. Offer Expires 04-30-2019. Set all specifications to achieve proper thrust and centerline angles. Inspect steering linkages and shocks. Check tire pressure and tire wear. Some restrictions may apply. See dealer for details. Cannot be combined with other offers. Offer Expires 04-30-2019. Some restrictions may apply. See dealer for details. Conventional oil up to 5 qts, synthetic and diesel extra. Present coupon to service writer at time of write up. Offer Expires 04-30-2019. Typical disclaimers from other coupons. *Some restrictions may apply. See dealer for details. Please present coupon at time of write-up. Offer Expires 04-30-2019. Get an instant $100 OFF your purchase of four new tires at Hosmer Toyota. We service all makes and models. 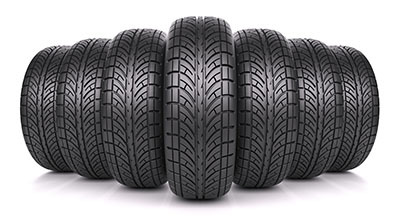 Purchase your tires here and receive 2 years road hazard coverage. Lifetime rotation every 5,000 miles for FREE! Does your vehicle have a musty smell when you turn on the A/C? Some restrictions may apply. See dealer for details. Present coupon to service writer at time of write up. Offer Expires 04-30-2019. Complimentary + vacuum of front seats with EVERY service! Get all of your tires filled with Nitrogen to ensure a stable tire pressure throughout winter! Nitrogen molecules shrink much less with the changing temperatures so the low tire pressure light won’t come on every time the temperature drops! Rain-X Glass Treatment dramatically improves wet weather driving visibility. Repels rain, sleet, and snow. Rain-X recommended every 3 months.